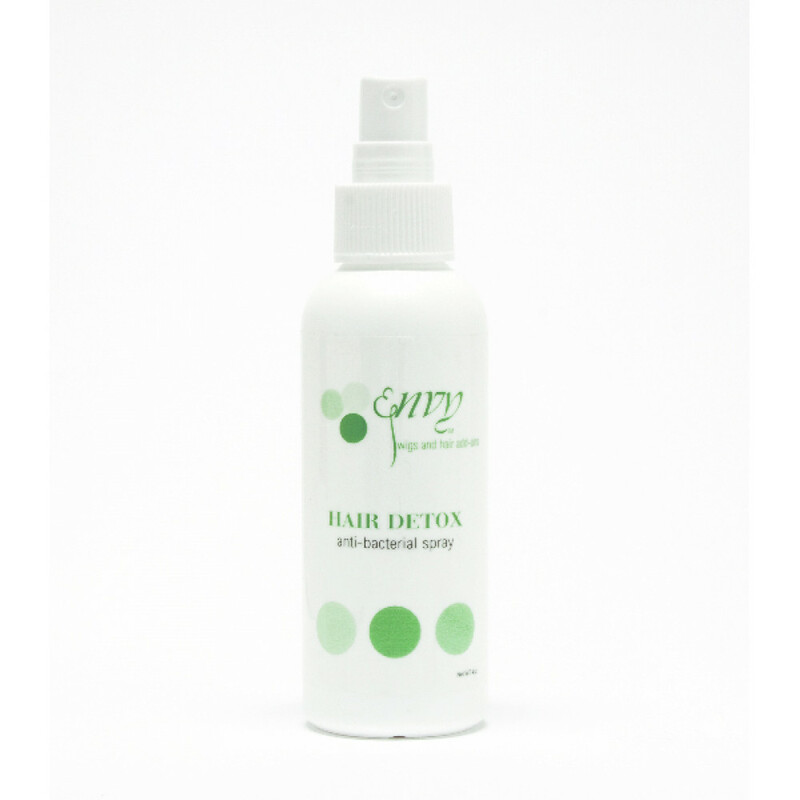 Envy Hair Detox Anti-Bacterial Spray is like a reset button for your synthetic-hair wig. Spray away any grimy little organisms and bring back your wig's just-out-of-the-box freshness. Hair Detox Anti-Bacterial Spray is a toxin-free formula that strips away pollutants and odor. Your hair picks up a lot of things as you go about your daily business: dirt, pollutants and odors. Synthetic hair isn't alive, but it can still harbor millions of microscopic critters that cause odors and make your hair look and feel dirty. And it smells fantastic! Natural mint oil leaves your wig even fresher than when you bought it! Hair Detox is Alcohol-Free, hypo-allergenic, and is safe to use between washings for the cap and on the hair. Ingredients: Distilled Water, Enzyme Technology (Food Grade), Natural Mint Oil, Preservative (Food Grade), Potassium Sorbate (Food Grade).